Jacob Jones is a respectable clerk at the Crystal Palace Company, with a pretty young bride and a delightful new home in Islington. When his wife is murdered, everything points to his guilt, even a handwritten confession. 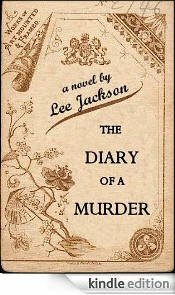 But the police discover Jacob Jones's diary, which tells a different story. They learn of a husband trying to bury his sordid past; a wife afflicted by a deep personal tragedy; an unlikely love affair that leads to a fatal conclusion. Is Jones' diary a confession? An attempt to exonerate himself? A study in madness? Read the police investigation — read the diary itself — and uncover the truth. 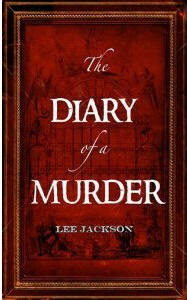 "No one knows Victorian London as Lee Jackson does - historical fiction doesn't come more authentic than this." This site has several thousand pages of Victoriana, available free to the general public. It's a private venture which gets no external funding or support  just me! See Lee Jackson's blog (author of this site) for announcements of the latest additions to this website, plus all sorts of intriguing Victoriana. I have written seven historical crime novels: London Dust (2003); A Metropolitan Murder (2004); The Welfare of the Dead (2005); The Last Pleasure Garden (2006); A Most Dangerous Woman (2007); The Mesmerist's Apprentice (2008), all published by William Heinemann / Arrow in the UK and Editions 10/18 in France, and The Diary of a Murder (2011).